The New World: Can a New World Be Possible? 1. 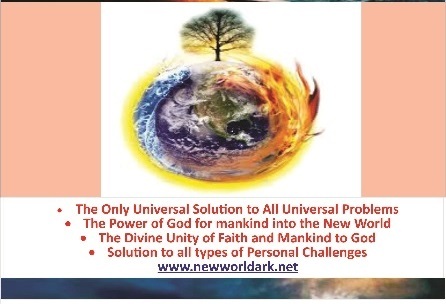 Evil or destruction fills the earth through the activities and failure of mankind to secure themselves with God as they work ‘animalistically’ against themselves and against the universe. 2. Hard times: economic inefficiency, famine, natural disasters of great magnitude and maybe a small time of prosperity for a few. 4. A time frame for an end or preparation and existence into the new. For e.g, then God gave the people of Noah one hundred and twenty years and yet it was shortened. Now we have discovered that God has given mankind thirteen years which is completely enough to get prepared and move out and it may be shortened according to the word of God. 5. A less popular man may champion the cause just the same way Noah was less popular (being an albino) and was regarded as foolish with his Ark. Now we have me…very much less popular and whom many may despise. 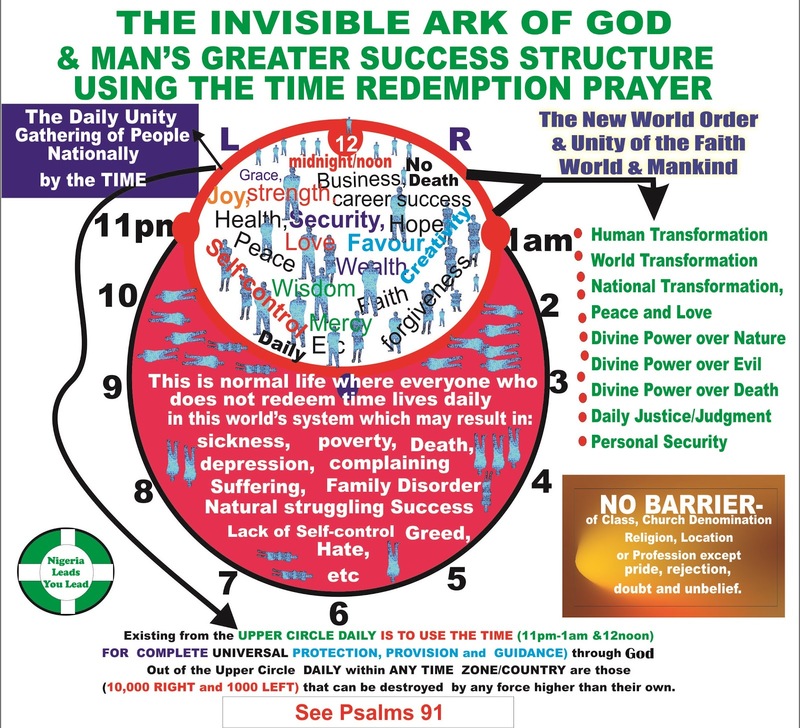 You should know that when Jesus Christ said ‘Just as the time of Noah, the end time will come through a certain time frame and the son of man shall suffer and shall be rejected of his generation’, He was not talking of Himself (coming to suffer again- God forbid!) but the man (me) who should announce the dissolution of the world and the making of the New in the order being revealed. 6. Many people good or bad shall not believe or even support the mission and may continue to doubt or disobeyed the instruction(s) just as it was then; (they continued to marry and built houses) until they could not make it. But truly, it may become late for them to qualify since it was so also that God shut (locked up) up the Ark after certain time and even those who sought to enter could not. 7. The last world ended with a great flood and this one shall end with fire according to the word of God. For example evil filled the earth and before the main rain started, God told Noah and they (he and his family) made their way into the Ark and it was shut. Many people thought it was normal. Today with the wonton evil on ground, the fire of the end time has started and raging, scientist calls it global warming and apportioned some natural causes to it. So many people think it is normal. But God in His infinite wisdom and mercy has revealed a way out (the Invisible Ark) for mankind especially all those like you who will believe and obey the instruction being given. 2. They did not know the time to give up all they had in order to help themselves prepare for the change until they lost all including their lives. 3. Not only did they not believe Noah but they worked against and refused to support the making of the ark. But be happy and just as Noah and seven others survived from the last one into this one, there shall also be survivals from the end of this world into the next. By this revelation, it is those survivours that we are looking for and you can be one of them or one of us. So there is a great hope of a better life and you should key into it; this is what this is all about- it is for your good and prosperity. God is looking for those He should save from this fallen world if they obey His escape and safety instruction (the Invisible Ark). Be one of us, you and your family. The rest of this work is the examination and justification or explanation of my claims accurately by the word of God; what is expected of us all to make the grace of God which is being revealed effective in our lives. 3. 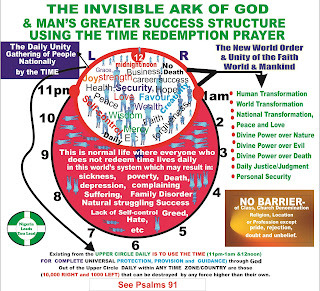 The both circles are a typical representation of a country or time zone in one hand and the entire world in another hand with those using the instruction or not. 4. 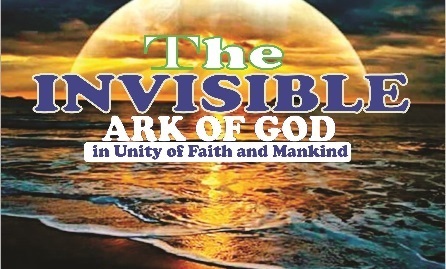 Those using the Invisible Ark; the time redemption prayers are united in the spirit from one city or country to another. 5. Only those using the Invisible Ark will survive the current evil of the world; the great tribulation and will make the New World. As you read, I pray you understanding better than I have explained by the grace of God.